There has been a lot of confusion around what tools and technologies are required to effectively monitor Citrix infrastructures. Rachel Berry, who was a product manager at Citrix, wrote on her blog about the enormous number of monitoring solutions available that could be used for Citrix infrastructures. And even earlier, Brian Madden and Kevin Goodman applied the term YAM, meaning “Yet Another Monitor,” their analysis being that there is a very large number of tools available for Citrix performance monitoring. 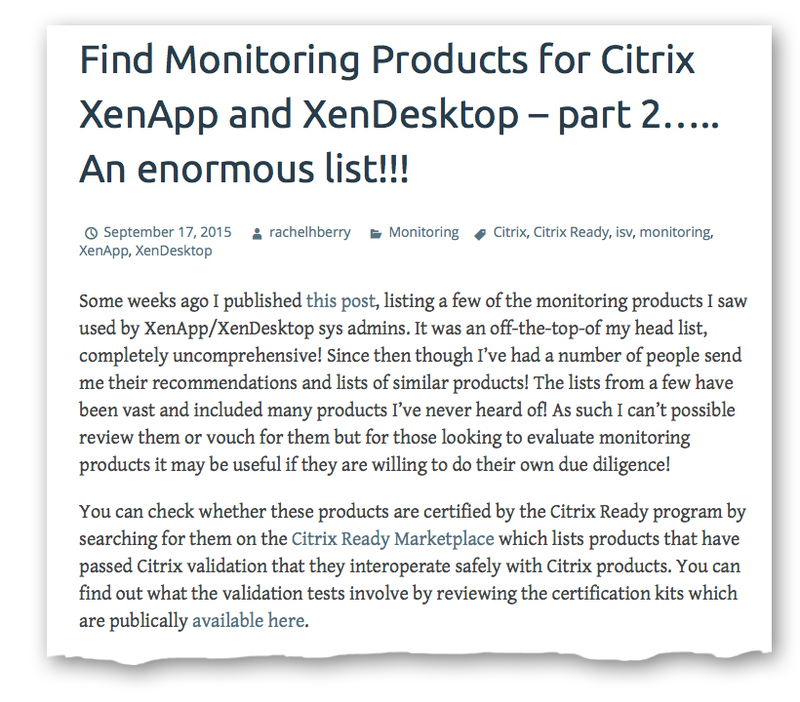 But are there really tens to hundreds of practical options for monitoring Citrix? No, the number is considerably smaller and here’s why. Monitoring tools that look at server CPU, memory, disk and network resources are very common, and almost every monitoring tool today supports these capabilities. Most of them can also monitor processes and services running on the servers and alert the administrator if any service is not running or a process is consuming too much CPU or memory. 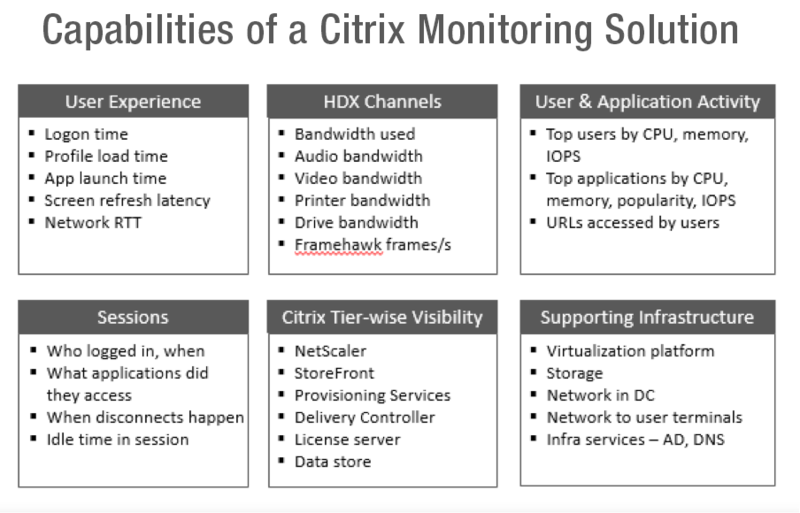 Although server monitoring is a requirement for Citrix monitoring – after all, Citrix applications do run on servers – server monitoring is only one component of successful Citrix monitoring. Users complain that their Citrix session disconnects often. 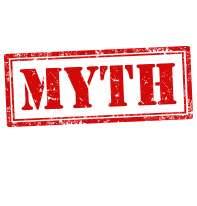 The ability to detect whether or not a desktop session is connected is a basic requirement for Citrix monitoring. Users complain about Citrix logon problems. A Citrix monitoring tool must be able to track whether Citrix logons are working properly or not. If they are slow, where is the slowness? Is it due to profile loading, or due to authentication with the Active Directory server, or due to Group policy (GPO) processing? Users complain about keystroke lags or slow screen refresh. When a user complains of keystroke lags, is it because of the Citrix servers or is it due to the network connection between the user terminal and the Citrix farm? A monitoring solution capable of solving these problems must be aware of each of these Citrix-specific performance issues and their probable causes. The number of Citrix tiers has increased over the years. Today, a Citrix infrastructure can have Citrix StoreFronts, Citrix Delivery Controllers, Citrix NetScalers, Citrix Provisioning servers, Citrix license servers, Citrix XenApp servers, Citrix XenServers, Citrix XenDesktops, and so on. A performance monitoring solution for Citrix must have monitoring capabilities specific to each of these tiers. 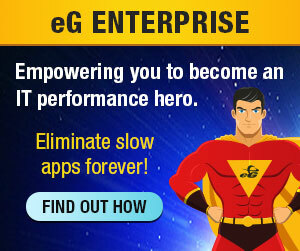 Examples of such metrics include boot times from Citrix provisioning servers, concurrent license usage from license servers, connection failures and unregistered desktops on a Delivery Controller. And there are many more. Also, since performance issues with infrastructure services – such as Active Directory and profile servers, virtualization platforms, and storage – can impact Citrix performance, effective Citrix monitoring needs to include end-to-end infrastructure visibility, across every layer of every tier. Applying the above considerations, you will find that you actually have less than half a dozen practical Citrix monitoring choices to select from, not a hundred different tools. Among the Citrix-specific options, there are still important differences in approach, usability and more. Jo Harder of Virtualization Practice created a comprehensive checklist to help simplify the Citrix performance monitoring selection process. It’s an excellent research tool that can greatly speed up your investigation. Download the Citrix Performance Monitoring Considerations and Checklist today.